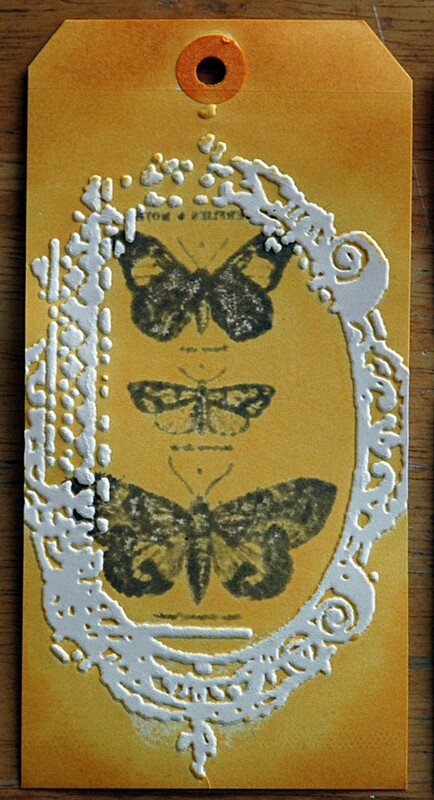 One of my favourite ways to play with dry embossing is to do something called Faux Letterpress. All you need besides the regular supplies is ink! 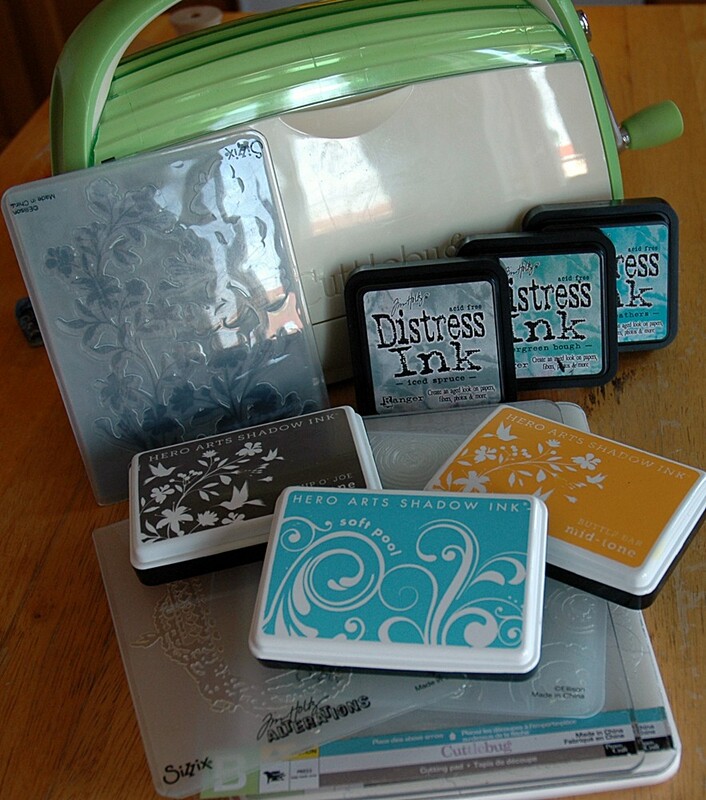 Now, you all know my love of Distress Ink and how they are my go to ink for all things crafty, right? Well, I don’t normally use them for this technique… :0 I know, I know, it’s shocking but I do have my reasons! 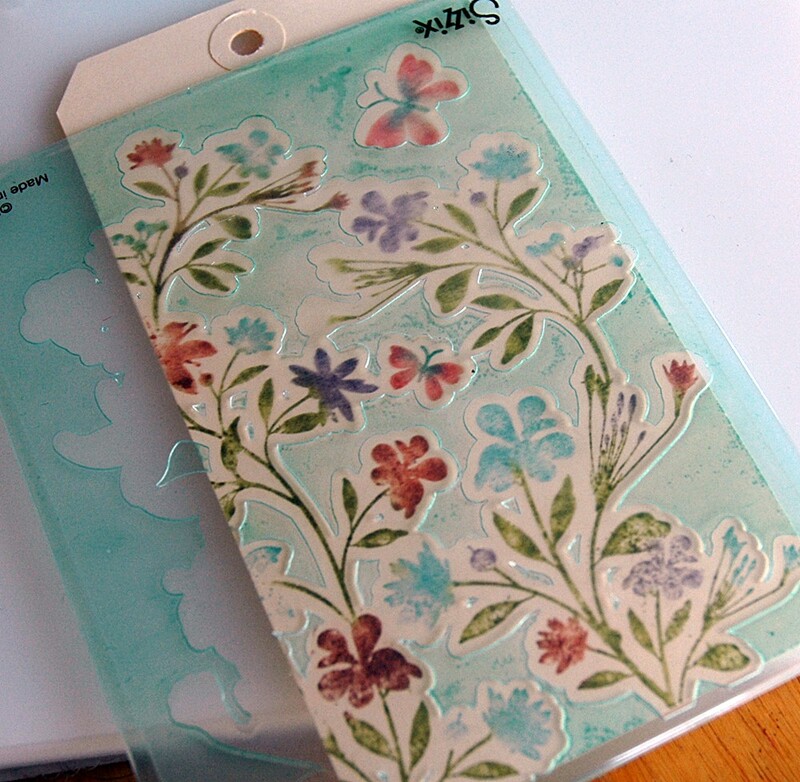 Usually I will use an embossing folder for this that has a lot of white, or open, space and Distress Ink just doesn’t play nicely with that much area on a plastic folder. However, the Hero Arts Shadow Inks are a dye ink that are formulated to work well with stamps that require a large amount of coverage. They look a little splotchy a first but as they dry and soak into your paper they smooth out to a perfect finish. 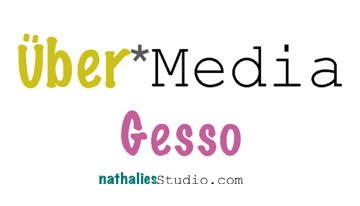 And they are awesome for Faux Letterpress! 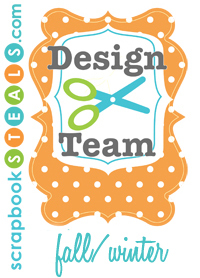 I also like the Hero Arts/Sizzix Stamp&Emboss line for this since you get a coordinating stamp and embossing folder. Then, you do the Faux Letterpress. 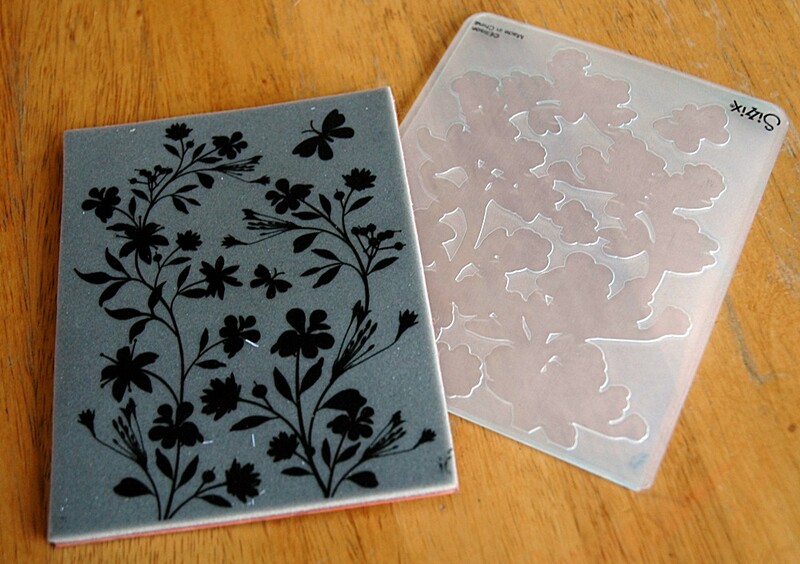 Ink up the solid side of your embossing folder, the side that has the most raised area. 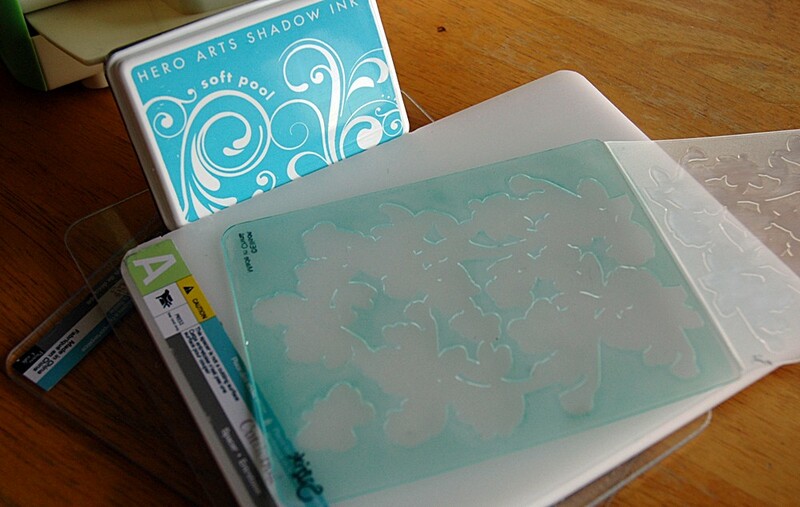 Another reason the Shadow Inks work well with this is because they have a firm, felt ink pad so the ink doesn’t press into the recessed areas of your embossing folder like it would with a foam ink pad. 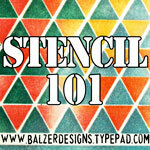 Now, place your stamped piece in the folder, carefully lining up the image, then run it through your machine. All the inked areas on the folder will be pressed into your surface while the raised areas remain uncoloured. 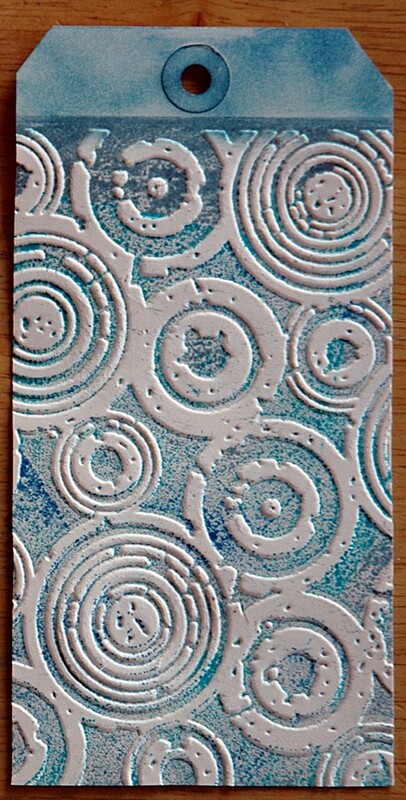 I just inked up my folder, stamped an image over the inked area, then embossed. The fun thing here is that it looks as though the stamped image is under the embossed area! 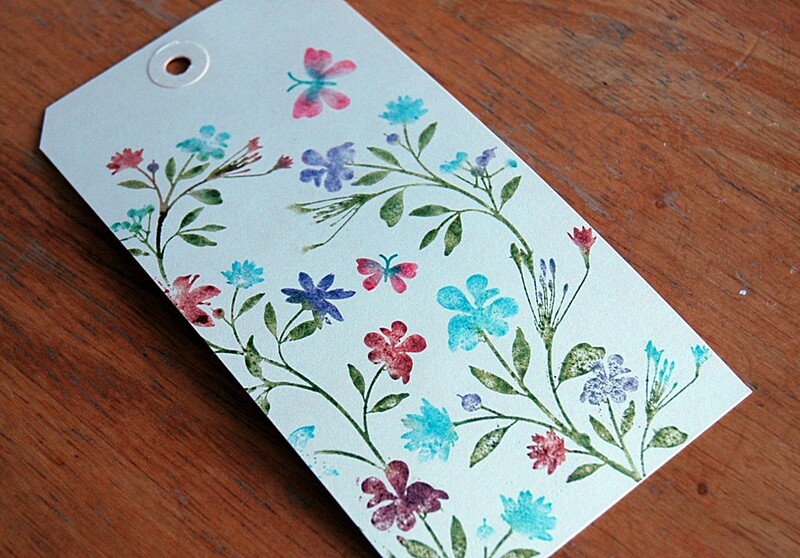 Finally, I did one tag with Distress Ink so you could see the difference in the inks. It turns out really splotchy but I do like the Distress Ink look here because I’m using a less open design and the design lends itself to a grungier feel anyway. This would be perfect on the front of one of those always hard to do male cards! 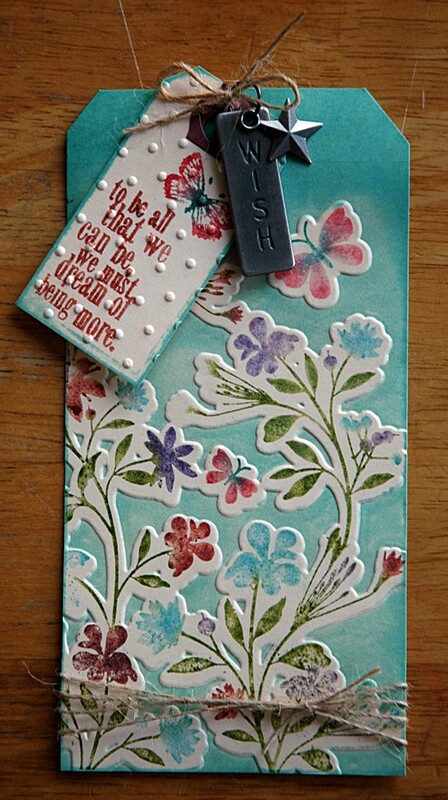 I finished off my original tag with some twine, a stamped and embossed mini tag, and some Tim Holtz doodads. Hope you enjoyed! 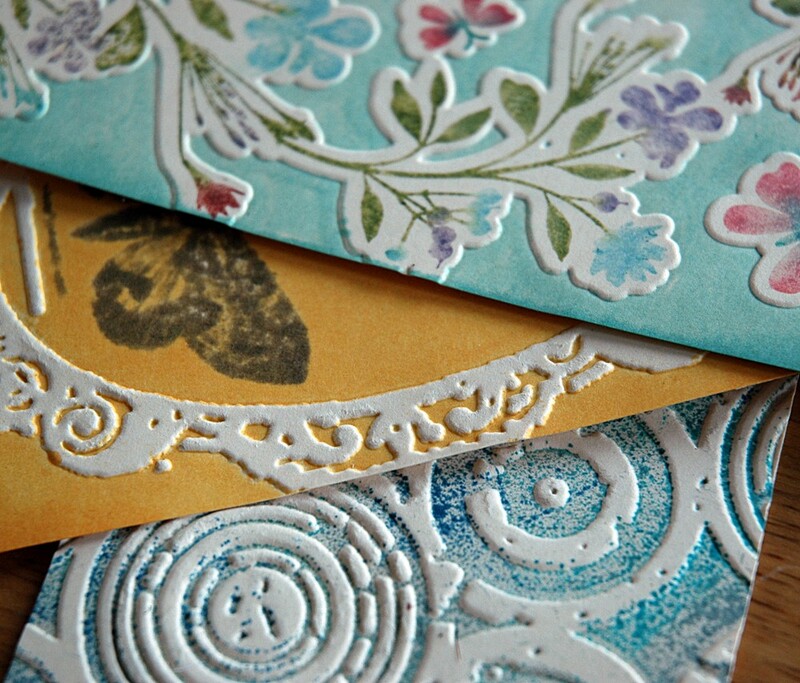 I’ll have one more tutorial on embossing next week and then I’ll have to rack my brains for something new! If you have seen anything or have questions about a certain technique, let me know – maybe I can take that on some Tuesday! As always, leave me a link in the comments if you try this out – I’d love to see your creations too! What a great idea! I’ve been meaning to try this technique myself, but just haven’t. I like what you did. Thanks! I love this technique – always make people stop and look twice but it’s so easy to do!